The reason why you see what you see is a direct result of the amount of time and/or how much interaction you have with posts such as what you see. If your friend posts nothing but political posts that you actually read - whether that is a thought out and typed out personal post, a meme, a shared post, or even a link to another site, the amount of time spent on the post is "logged" by the Facebook algorithm. What is an algorithm? In this case, it's the automated reasoning that Facebook is logging. The algorithm "senses" that you really like what you're reading so it weighs that against what you don't spend time looking at - what you're scrolling past. Therefore, the information types that you spend time on the most gets pushed up higher in the level of importance for you. With regard to importance, if you then "like" the post, that gives the algorithm another tick up. Then you comment, TICK. If you read, like, comment AND share the post, well, you just hit the jackpot in making sure you're going to see lots of posts like that. This applies to ANY subject you spend time reading and interacting with. Want to see more of your family and friends posts? If you really want to take control of your Facebook news feed (or any social media for that matter) spend time engaging with and interacting on what matters to you most. That is the #1 tip that I can share. Like your friend's posts. Talk to them in the comments. Share the posts that resonate with you. Don't just copy and paste the text from that post either, actually comment on the reason why you're sharing it because the algorithm will think you really don't care about it much if you copy/paste. Otherwise, take the time to hide the posts you don't want to see. Hiding posts is done most easily on a PC by clicking on the down arrow in the upper right corner of the post. Choose the "Hide" option that best relates to the information you want to see less of. If the post is from a specific line of interest or games, you'll have a choice of hiding or blocking. You'll also have the choice of hiding or blocking the person that posted. If you're on a mobile device, you'll need to look for the three ... in the upper right corner of the post. You'll have the same choices to hide or block the post. You comment or post often on the topics you see. Instead of scrolling past, you read all of the memes. You click through most of the links posted. Now the Facebook algorithm thinks that's ALL you want to see. Interact on a personal level with family and friends. Hide the posts you don't want to see. Or, scroll past the posts that you want to see less of and spend time on those you want to see more. 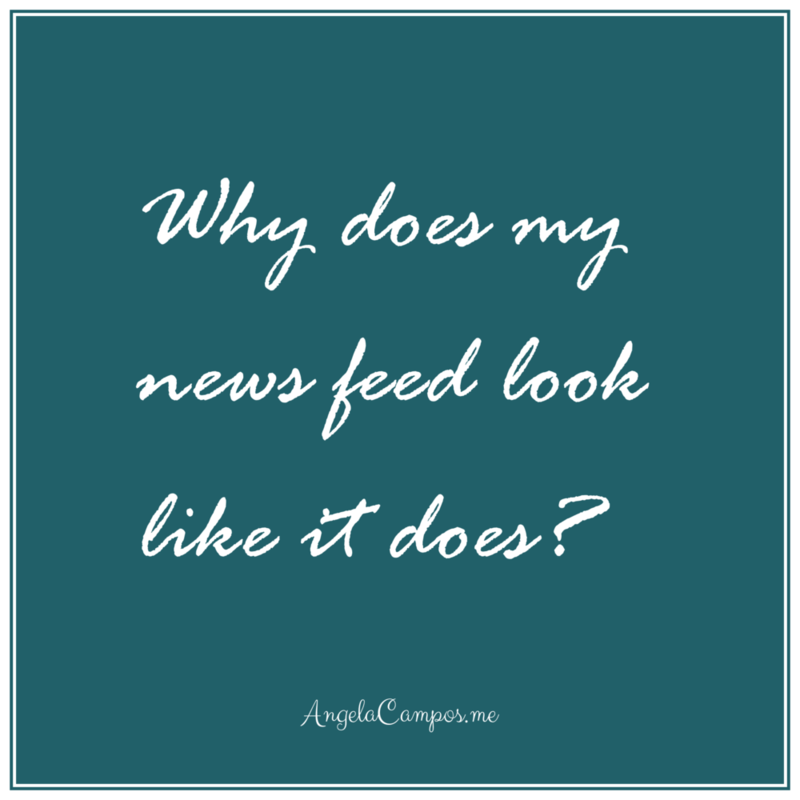 Make your own posts about what you really want to see in your news feed: family, friends, heartfelt issues. I hope these tips help you to reclaim your news feed and enjoy social media more. Share your tips in the comments below.